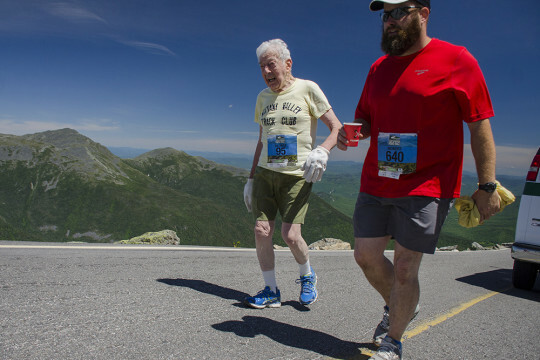 12KM might sound like a short distance but race course for Mount Washington Road Race consist of a single hill (up-hell) and has an elevation gain of 4,727 feet and has an average grade of 12 percent. The official cut-off time for the course is 3:02, but the organizers have recently relaxed that requirement for older runners in recent years. 2 Years ago, Etzweiler also holds the record for the oldest person to complete the race at age 93 with a race time of 3:15. Despite the slower time, Etzweiler is already planning his training to improve his time next year.